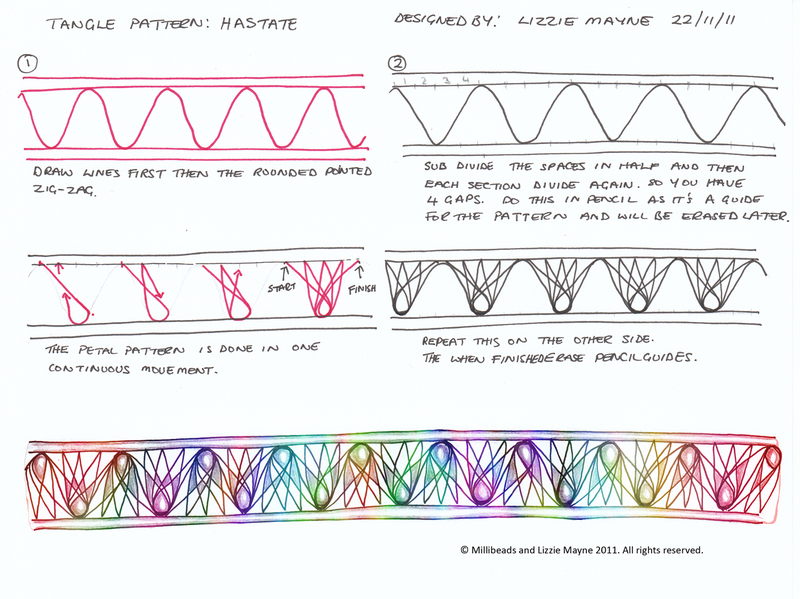 Here are some very brief tutorials in how to draw the Hastate Pattern snowflakes and tree. This is where I hide from the world to ponder, research, create and procrastinate. which means spear-shaped. 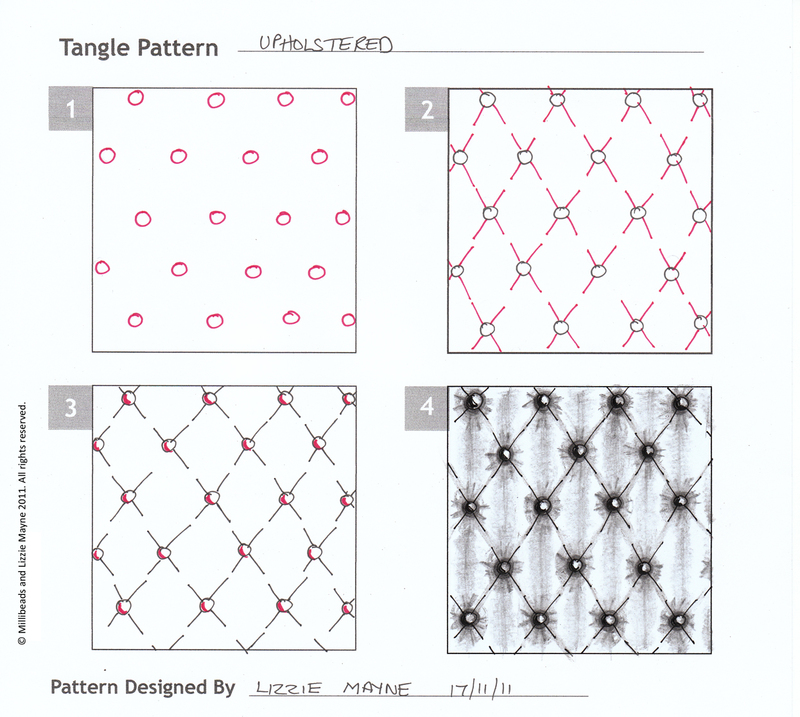 You can find the step by step guide in how to create these patterns on my Tangle patterns page. Thank you. 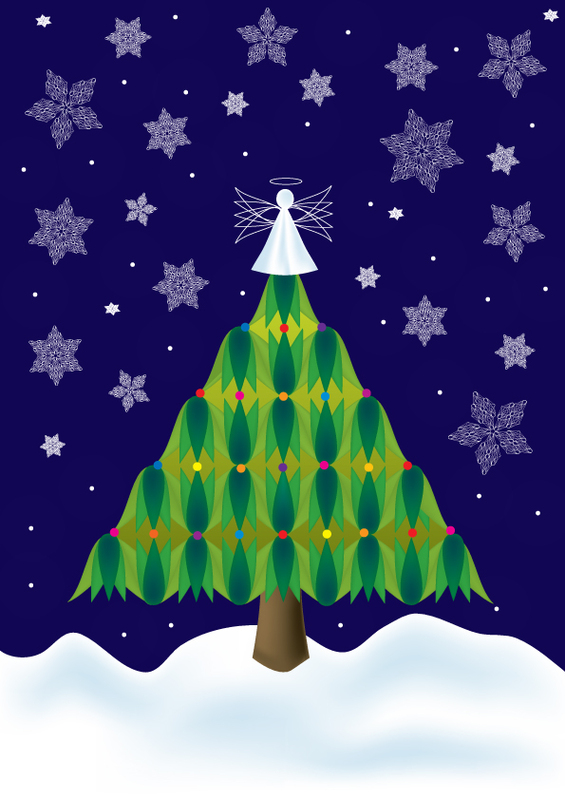 If you are interested I’ve added two new pieces of Artwork to the artwork page. Both were for competitions I’ve entered at http://lineweaving.com/forums. I have a new pattern for you called Suckers. 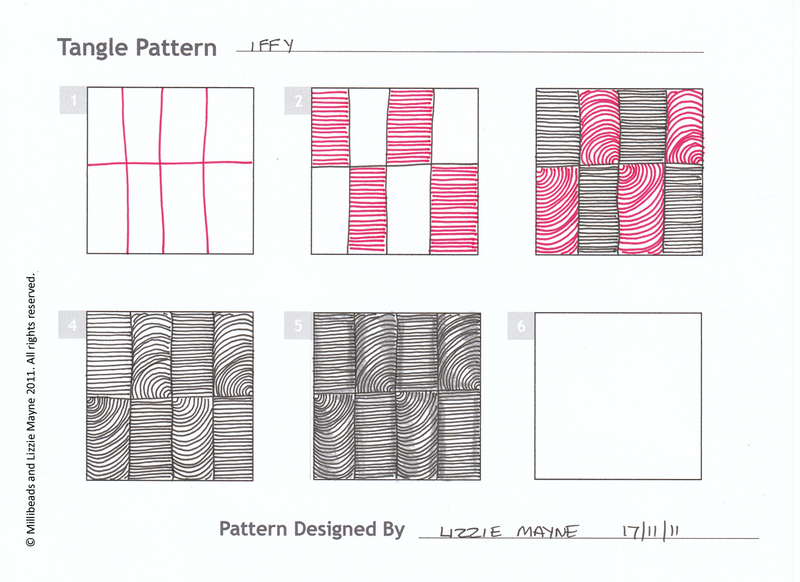 I have a pad full of pattern ideas and not enough time in the day to realise them. Note to self – pray to God tonight to extend the day to 48 hours. (Nooooo I hear you all scream). Here is a brand new pattern for you called ‘Upholstered’. I was inspired by the pattern on my duvet when changing the bed linen. 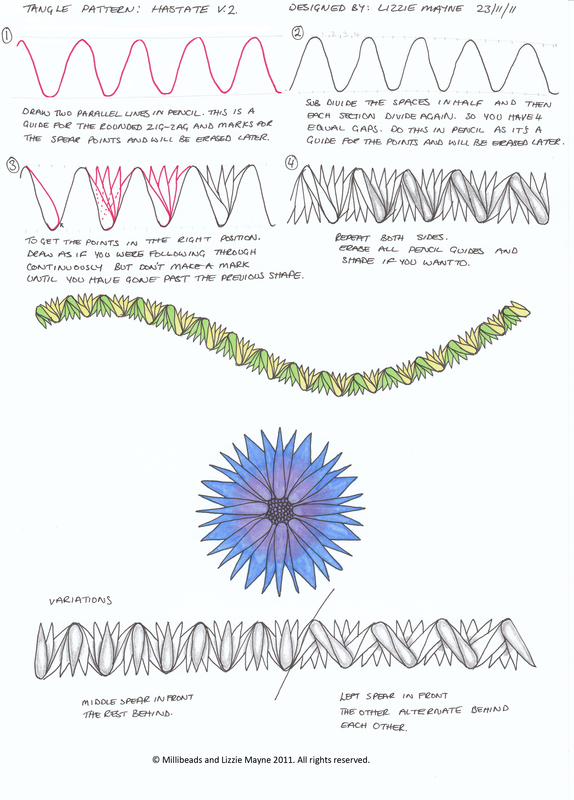 You’ll find the step by step guide to creating this pattern on my Tangle patterns page and as always the newest patterns are on the top row. The Texture page has now gone live. Just nip over to the Textures page and click on the thumbnails for hi-res images.